Over the past 150 years, Ceylon Tea has been consumed and enjoyed by millions across the globe and has been established as a global icon of quality. 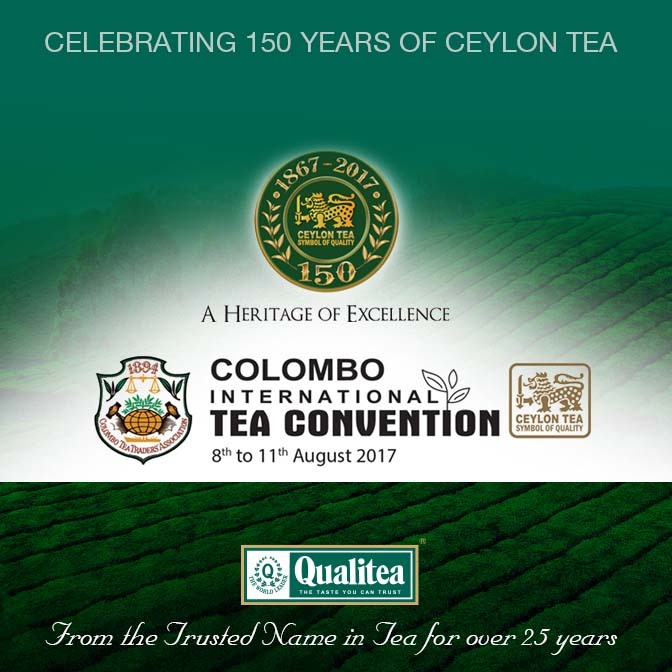 The Colombo Tea Trader’s Association, the apex body for the Tea trade, in collaboration with the Sri Lanka Tea Board hosted the Colombo International Tea Convention in Sri Lanka from the 8th to the 11th of August 2017 at the Cinnamon Grand Hotel Colombo. In today’s modern world the Tea industry operates alongside many other industries, each other essential for the others success. As such the organizers of this milestone event, had speakers from diverse backgrounds sharing their stories and knowledge through this convention. By doing so this conference aimed to formulate strategies for the challenging future ahead. The target audience for this event were tea manufacturers, exporters and suppliers from all over the world. Over 300 local and international delegates participated at this special occasion.